When I go to watch any film, I invariably end up buying that tasteless, overpriced, bland popcorn bucket. I still buy it, not for its taste or I have any expectations from it. But, it has become one of my numerous bad habits. 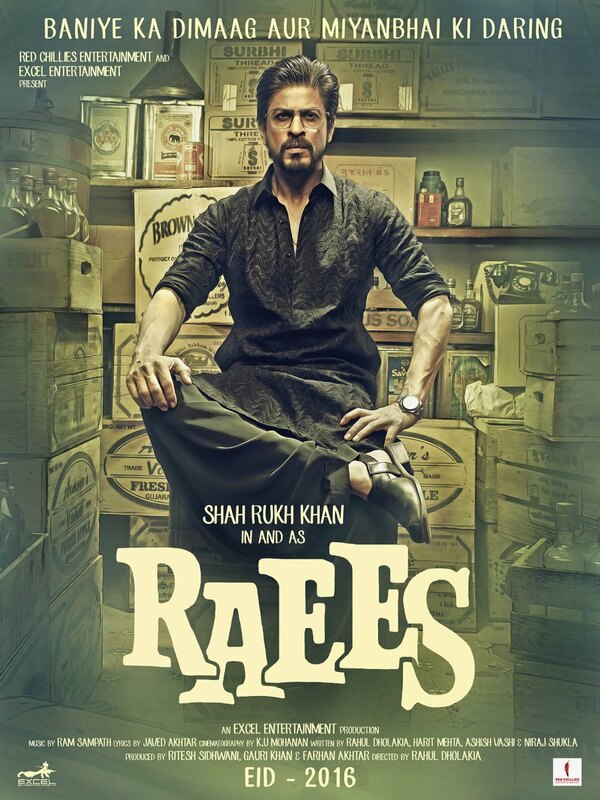 Raees bhi ek aadat hai. Only reason to watch Raees is because you are habituated and to a large extent infatuated with King Khan. Plot of Raees has been beaten to death more than Ishant Sharma's spell in death overs. It is the age old story on Robinhood-the-Messiah, the man of principals standing up against the system. Deeds of Robinhood are illegal but not immoral. You would have seen it recently in Shootout at Wadala, Once upon a time in Mumbai and almost all gangsta films of Amitabh Bachchan. Rahul Dholakia has done a terrible job of direction. Film has too many loose ends and doesn't look crisp. Same story could have been said in a much better way. More than the lack of ability, I felt it was a lack of effort. Screenplay could have been better and action sequences could have been made more realistic and believable. With all due respects to SRK, he can not do the role of a rowdy gangster. All his previous attempts have fallen flat on face (Ram Jaane, Don). When Raees bhai beats 10-15 guys all alone, it doesn't look convincing. Neither his persona not his actions are justifiable. Kudos to his style though, when he utters those one liners "Din aur raat to kutto ke hote hai, Sheron ka zamaana hota hai". Gangster roles are outside his comfort zone. Either he should be ready to put in efforts like Aamir Khan to transform himself in character or it is best that SRK sticks with his charming romantic roles. Nawazuddin Siddiqui (as the honest cop against Raees) makes this film watchable. I won't say that it was one of the better roles of Nawaz but in a film like Raees, he was the only character looking realistic. I can't think of anyone else playing this role so convincingly against SRK. I can think of only 2 reasons why someone would cast Mahira Khan in this film: One - Her dad might have financed the film secretly or she charges even lesser than Sonakshi Sinha. There can't be any other reason to cast mini-giraffe in the film. Supporting actors like Md Zeeshan Ayub (as Sadiq) and Atul Kulkarni (as Seth) do a fairly good job. Overall production quality of the film is superb. All the sets and costumes are top notch and it very much looks like era of 70s. Even the scene of Amitabh Bachchan in background and Raees in foreground was nicely conceptualized though poorly executed. Music of the film is terrible. You won't remember even a single number other than Laila main Laila. Verdict: As I said earlier, watch it only if SRK is your aadat. If you have any expectations from film then you'll regret it.